Planning a visit to Seoul anytime soon? Whether you are coming for work or pleasure, Seoul’s transportation will help you get to wherever you need to go. Only have a short amount of time in the city and want to be walking distance to the most attractions? Or do you want to stay somewhere close to great shopping or would you rather stick strictly to business and stay near where you’ll work? Regardless of your needs this post will help you out! Myeongdong is a tourist site where many of Korean cosmetics & skincare stores are available. 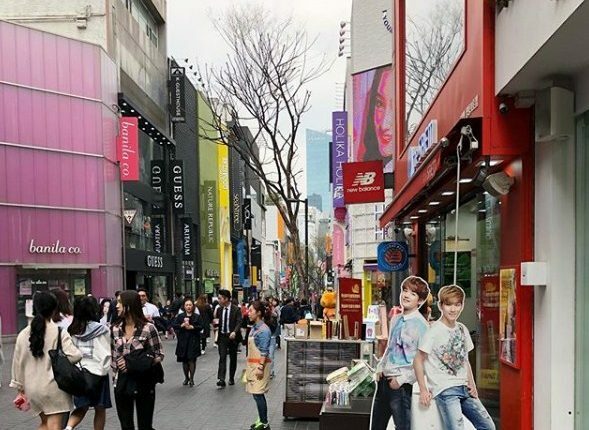 Myeongdong also become shooting location of many Korean dramas. And not forget to mention delicious street food that you can find there. Myeongdong is a strategic location if you have plan to stay in Seoul. Myeongdong is connected by a subway that makes it easier for you to go to the tourist attractions in seoul. 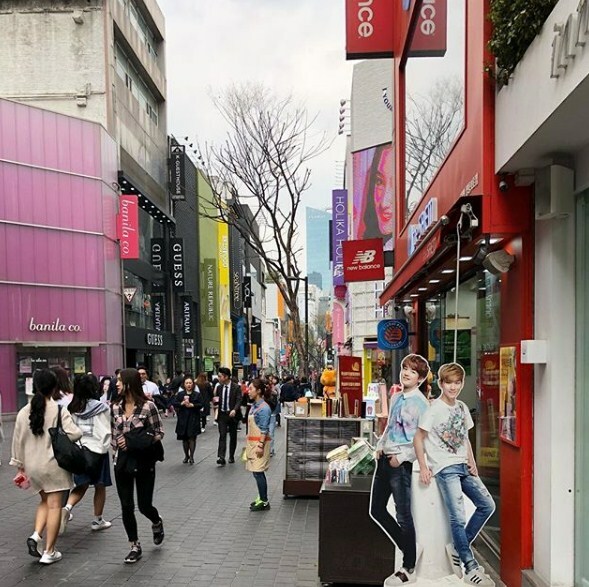 You can click here to see recommended place near Myeongdong. 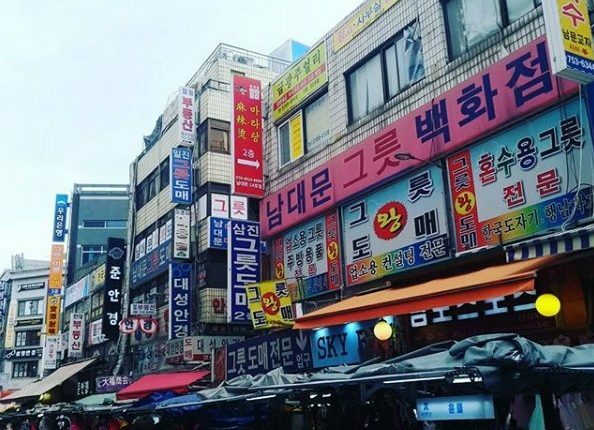 For you who like shopping then you must visit namdaemun market! Don’t forget to walk around to get the best price, do not be tempted to buy directly. In this namdaemun market there is a Korean-style scarf for 2000-4000 won. And do not forget with a little walking you can also take pictures in Sungyemun gate area namdaemun. do not forget to try odeng or fish cake here. For price around 1000 won. You can click here to see recommended place near Namdaemun Market. In this dongdaemun area you can get lots of gifts, from tester juice until mask and all free. Yes it’s free! Especially if there’s an event such as fashion week. Also you can see the Korean youngsters in style and shopping. In this area there is actually a Rose LED garden that will light up at night. The atmosphere is similar with atmosphere at Orchard road Singapore. 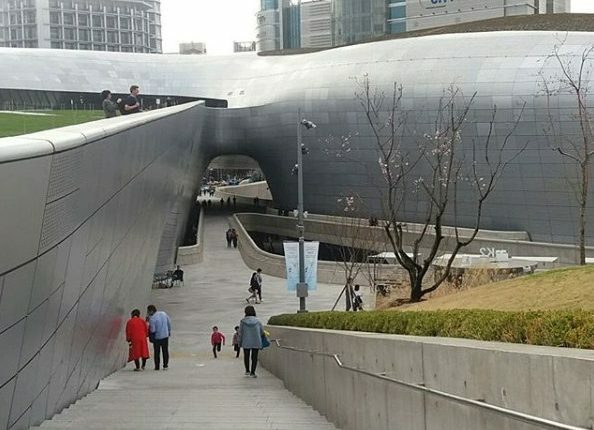 If you know, in dongdaemun area there a lot of locations that look familiar because Korean Variety Show Running man & other programs used this place as their shooting location. You can click here to see recommended place near Dongdaemun. Because you can find non-halal food everywhere, the location for you who want to try halal korean food is Itaewon. Here you can try halal bibimbap. Actually there is a famous restaurant that is recommended named eid Halal Restaurant in the area of Itaewon mosque. As an illustration, itaewon is like the tourist area and its global village in korea. We can meet people from different countries. Crowded and varied. 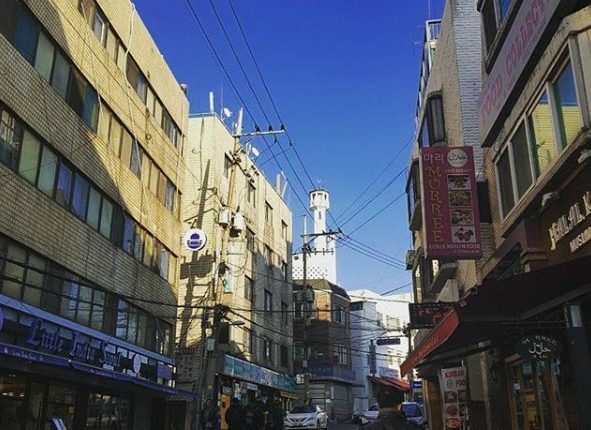 If you are a Muslim try to visit and pray at the famous itaewon mosque. Do not be afraid to get lost because many of our brother & siter in islam show the way to the mosque. It’s a bit climbing, so prepare your calf muscles. You can click here to see recommended place near Itaewon. Padlock of love! If you hear about Namsan Tower, what are you thinking? 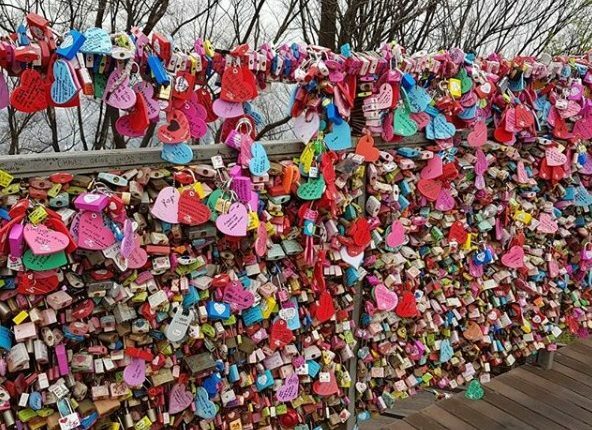 We believe many of you are going to write your name and your someone special in the padlock of love in the namsan tower. Get an exciting experience by visiting namsan day or night because you can really enjoy the city of Seoul from a height. Go to the namsan tower you can use the bus, walk up the stairs, or ride a cable car. Well, just adjust to your budget and physical endurance. You can try to go to the observatory deck, the price is 8000 won / person. You can click here to see recommended place near Seoul Namsan Tower. 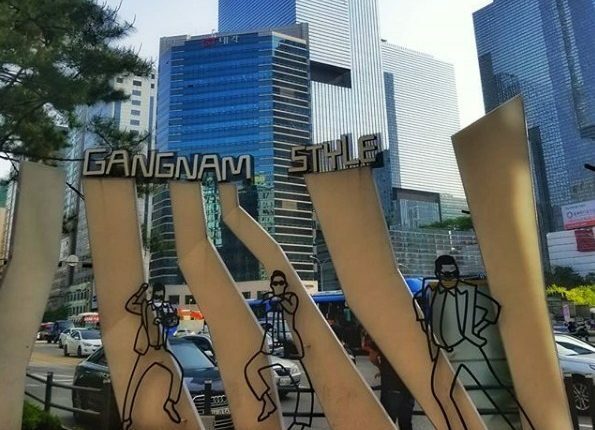 Gangnam is known as one of the richest districts in South Korea and is home many department stores, underground shopping centers, and malls. This is where you would find Louis Vuitton, Chanel, Versace and other designer stores. 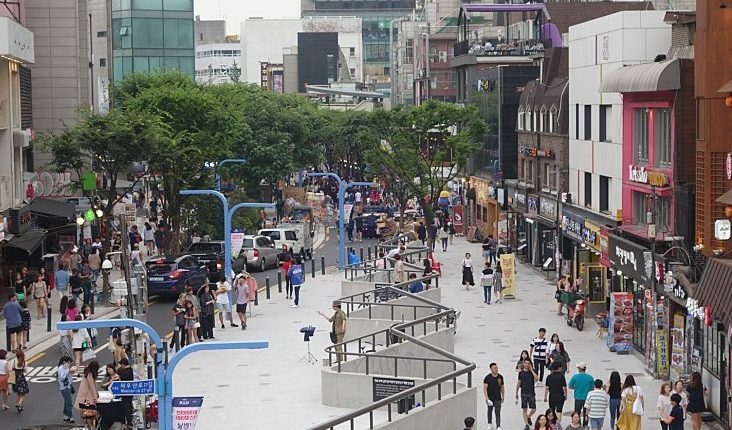 Apgujeong and Cheongdam are the top shopping neighborhoods and there was even a television show, called Cheongdam Alice, about a poor girl wanting to get in with the wealthy elites of the area, spending time shopping and doing little else. There’s plenty of things to do in Hongdae making it a popular hangout spot for young adults. Located near a few of Seoul’s colleges makes Hongdae the mecca of nightlife, shopping, cafes, and activities. You can spend multiple days exploring the area and it’s a great place to go whether you’re visiting or living in Seoul. You can click here to see recommended place near Hongdae. This entry was posted in BnBHero Insights!, Featured. Bookmark the permalink.